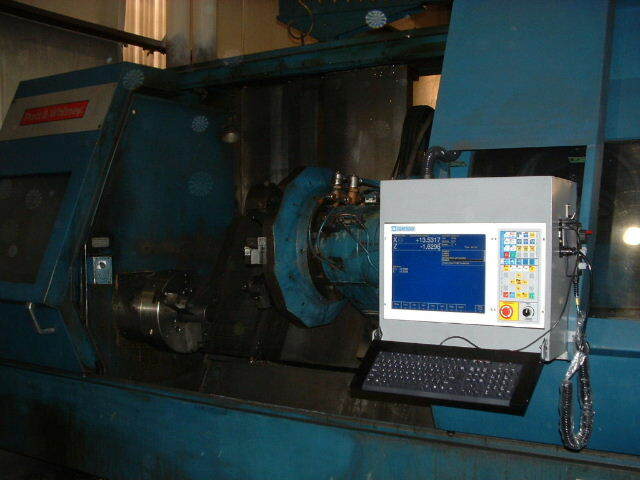 This is a Centroid T400 retrofit to a large universal lathe from around 1980. The retrofit was completed in August 2007. The machine is a 50HP universal lathe with a 12-station turret. It is a solid and reliable machine, but its original TeamMate control was no longer viable. For a small fraction of the cost of a comparable new machine, the customer is back in operation with a reliable, easy-to-use control system. 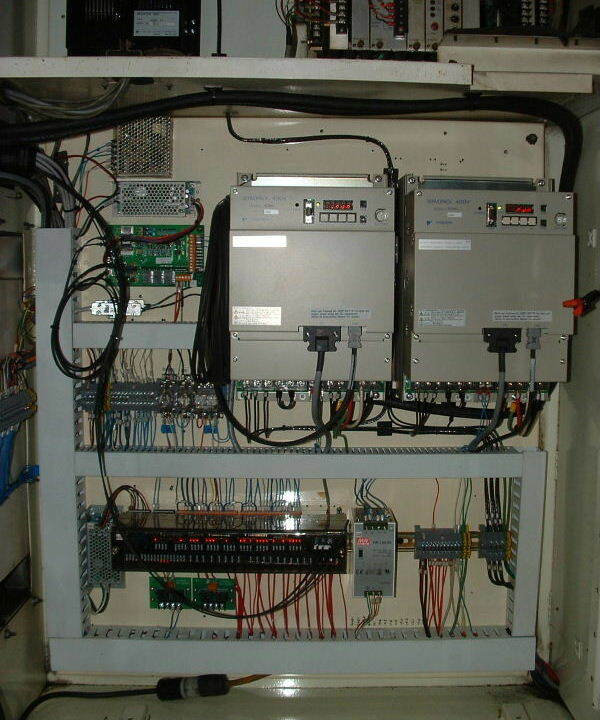 This is the control cabinet. I installed the new servo drives, PLC unit, and supporting components into the cabinet originally occupied by the old TI960 minicomputer. The original Reliance DC spindle drive is on the panel above. It was in good working order, so I kept it with the new control.